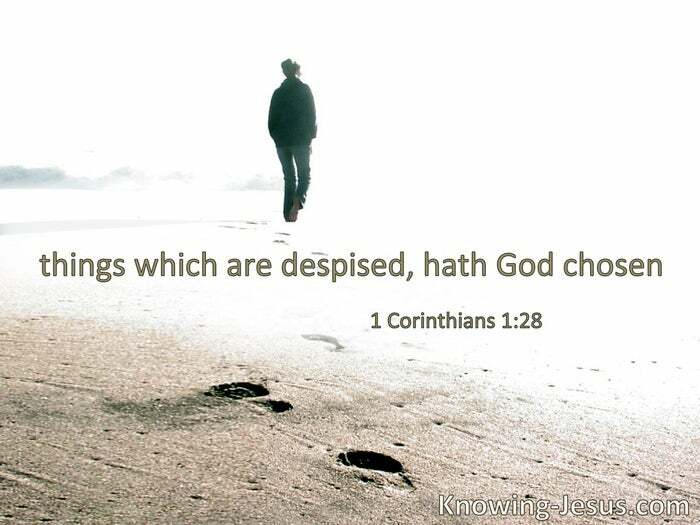 Things which are despised God has chosen. Look, are not all these who speak Galileans? Jesus … saw two brothers … casting a net into the sea; for they were fishermen. 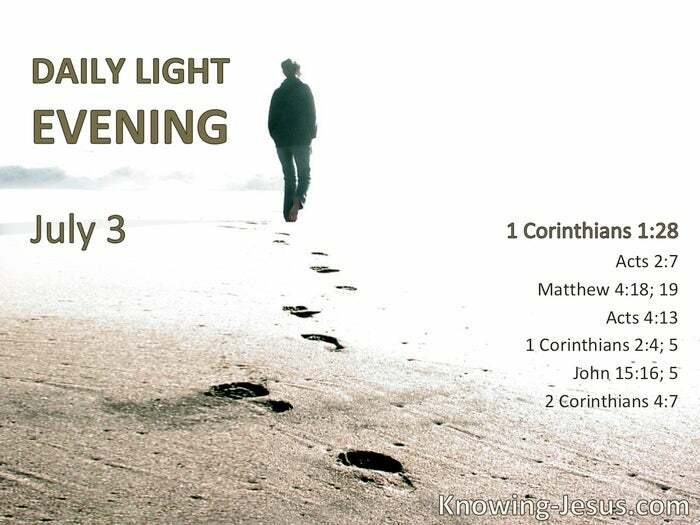 Then He said to them, “Follow Me.” § Now when they saw the boldness of Peter and John, and perceived that they were uneducated and untrained men, they marveled. And they realized that they had been with Jesus. My speech and my preaching were not with persuasive words of human wisdom, but in demonstration of the Spirit and of power, that your faith should not be in the wisdom of men but in the power of God. You did not choose Me, but I chose you and appointed you that you should go and bear fruit … He who abides in Me, and I in him, bears much fruit; for without Me you can do nothing. 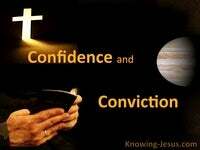 § We have this treasure in earthen vessels, that the excellence of the power may be of God.